We are always looking for well-trained and experienced automotive professionals to join our team. We take pride in providing a high quality of service to our customers, and are happy to provide career opportunities to sharp and enthusiastic people. If you are interested in applying, we invite you to click on the application below which will open the application in a new tab. 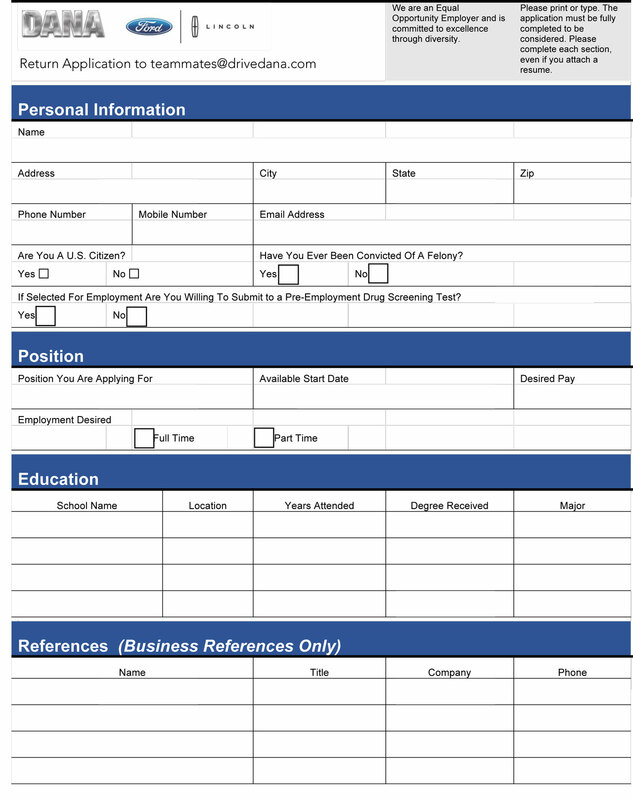 Fill out the application and save to your computer and then and email to teammates@drivedana.com.